Why is Nigeria's Fuel Price Soaring? The Nigerian National Petroleum Corporation (NNPC) said it insures N774 million every day to subsidize petrol and keep the fix retail price at N145 per litre. Group Managing Director of NNPC, Dr Maikanti Baru revealed this when he led top management team of the corporation on a visit to the Comptroller General of the Nigerian Customs Service, Col. Hameed Ali (rtd). The daily evacuation of Premium Motor Spirit (PMS) varied in recent past months ranging from 35million litres per day to 60million litres per day and even to as high as 80million litres per day as at December last year. The GMD explained that because of the obvious differential in petrol price between Nigeria and other neighbouring countries, it had become lucrative for smugglers to use frontier stations as a veritable conduit for the smuggling of products across the border. 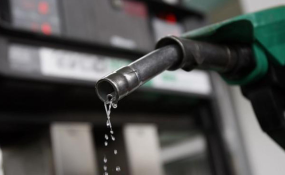 He said this had resulted in a thriving market for Nigerian petrol in all the neighbouring countries of Niger Republic, Benin Republic, Cameroun, Chad and Togo and even Ghana which has no direct borders with Nigeria.